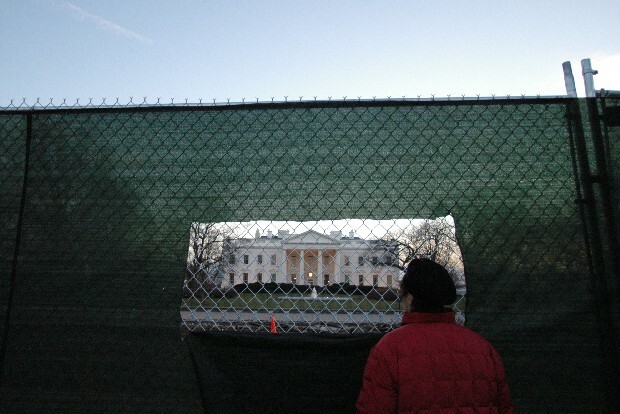 When I got back from the holidays I noticed that they had put a fence up around the White House. I thought it might have something to do with the Iowa Polls. No reason. Then I thought it might have something to do with the State of the Union Address. Today, an honestly nice Secret Service guy said it was just road work. Well of course there's going to be a facade to the whole operation. Road-worker "guests" from Bush's Immigrant Worker Plan. I had my second class of the semester today, Video Art for the Visual Artist. Another winner.